Airstrikes during Operation Pillar of Defense destroyed dozens of tunnels but the discovery of such tunnels remains a top priority. A shaft to a smuggling tunnel into Gaza was discovered Monday afternoon by IDF forces who were engaged in combat near the security fence in southern Gaza. The IDF has launched an investigation in an effort to figure out when the tunnel was built. 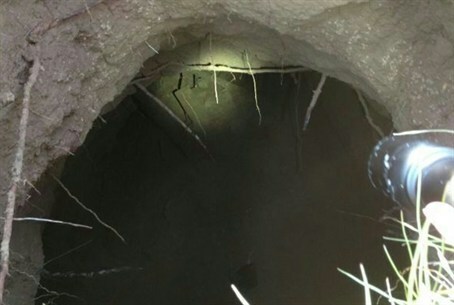 IDF airstrikes during Operation Pillar of Defense destroyed dozens of smuggling tunnels leading into Gaza and the army continues to make the discovery and closure of such smuggling tunnels a top priority. It also seems that the stormy weather Israel experienced this past week was a huge blessing in more ways than one. The heavy rains caused many of the tunnels in Gaza to collapse and managed to paralyzed the activities of smugglers and block illegal trade routes. The Palestinian border directorate in Gaza announced that the Rafah smuggling tunnels would be closed due to the weather after heavy rains destroyed dozens of tunnels. During the storm, dozens of people were injured and went missing and one man was killed as tunnels collapsed and flooded.